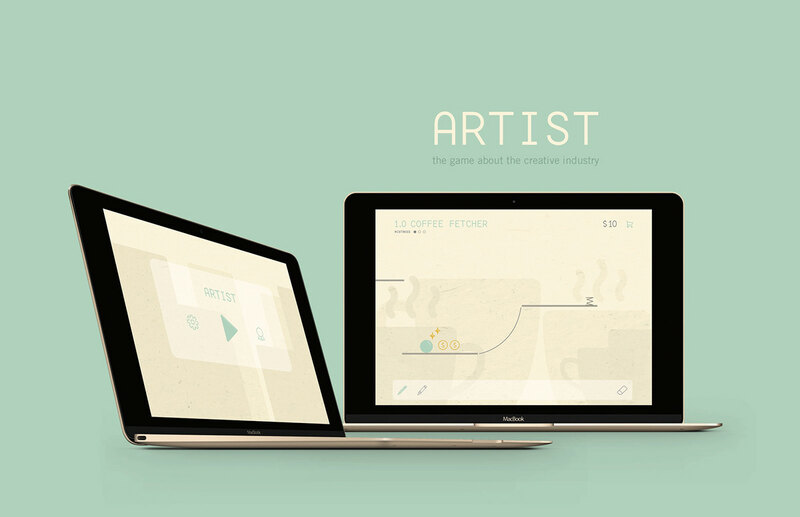 Artist is a video game prototype with a conceptual basis about the creative industry. The game allows users to experience various ranks within their chosen career, as well as challenge them with objectives, obstacles, and the ever-looming loan. The current design of the game allows for greater expansion, such as additional puzzles, obstacles, objectives, and levels. Artist was designed with other designers in mind. Interface and on boarding were to be kept clear and concise. Typefaces and visual design was to be kept minimal and sophisticated, but also fun and light hearted. Execution proved challenging during this project. This was my first time using AfterEffects, so a learning curve produced many scrapped drafts. Animated with Adobe After Effects.